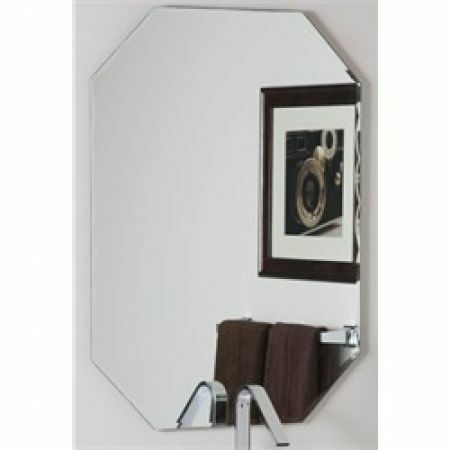 The mirror started out life as an octagonal little number stuck to the bathroom wall with gobs of adhesive. When we decided to paint over the existing chocolate brown in favor of something more neutral, the mirror came down from the wall and sat in the backyard. For like, six months. Long story short, when we finished up reworking the guest bedroom, we needed something cheap to add a little color. And Sarah was getting tired of me flexing in front of the mirror in the backyard. So, combine the two problems and you get a solution – the new, old, “old” mirror in the guest room. Who Says Old Isn’t Beautiful? Any visual artist will tell you that creating the look of depth requires at least three colors. It’s impossible to make mistakes when you’re trying to make it look like junk. Surface imperfections are key to a well-warn look. As a last step, make your faux cracks and pits pop by coating them with another bit of dark wood stain. This entry was posted in photos, projects, wildlife. Tagged distressed, DIY, finish, frame, home improvement, how to, mirror, paint, photos, projects, stain, tools & tips.